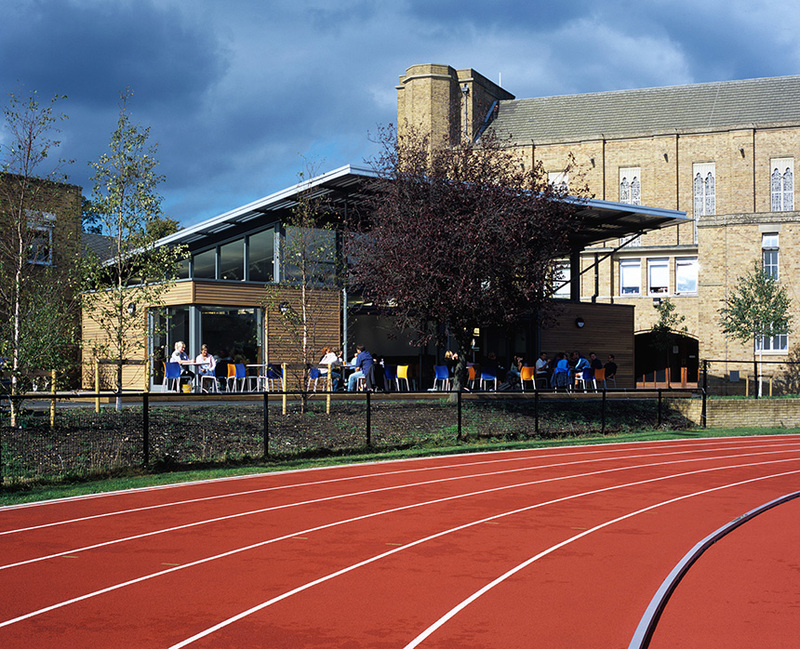 The Dolche Vita cafe at St Mary’s University College is a single storey pavilion which overlooks the College’s athletics track. 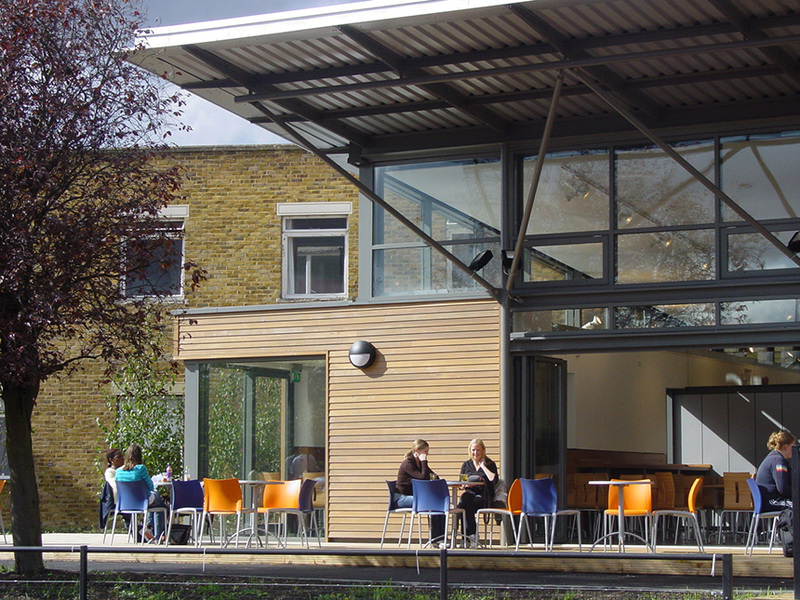 It provides much needed social space for an increasing student population.Capitalising on left-over space between two existing buildings, the cafe plan is faceted to provide as much space and natural light as possible, as well as create a variety of different internal seating ambiences and arrangements. The 180 seats are a mixture of grab-and-go, poseur, lounge and traditional cafe seating. The building is clad up to a clerestory level with Western Red Cedar. 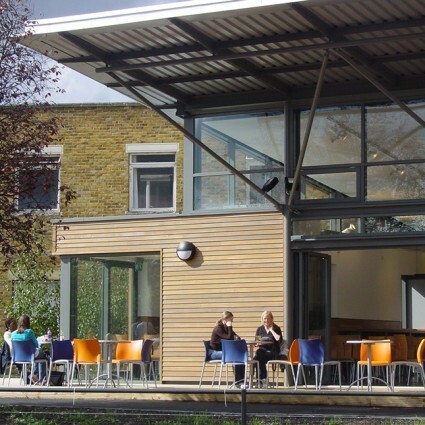 An aluminium butterfly roof overhangs and pitches up toward the south east and over an external decking area. Two sets of sliding folding doors allow big uninterrupted views to the track and landscape beyond. 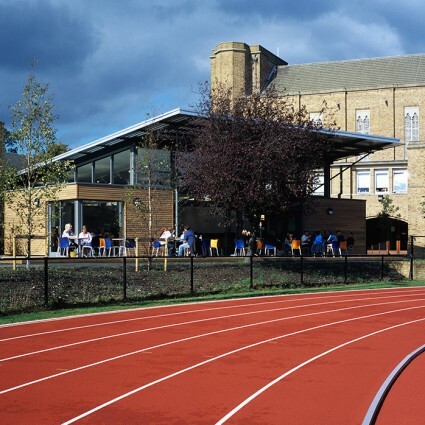 "The facility is very impressive and I hope should prove very popular with students, staff and visitors."